If you love soft fluffy laundry but don't want to expose your family to harsh chemicals, Pure Wool Tumblers are the perfect solution. 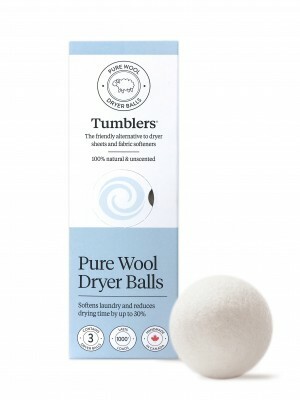 Tumblers are handmade of 100% Premium New Zealand wool roving and then felted to ensure they will not leave fluff on your laundry. Add to dryer with damp clothes. 3 balls are great, 6 will dry even faster. Avoid overdrying to ensure anti-static, wrinkle release and easy ironing. For scented clothes, add a few drops of your favourite essential oil or perfume to each ball. Tumblers are perfect for sensitive skin and will last 1000+ loads.